HIT! Cheap flights to Dominican Republic: Punta Cana for only €253! Thomson now offers cheap flights to Dominicana from UK. 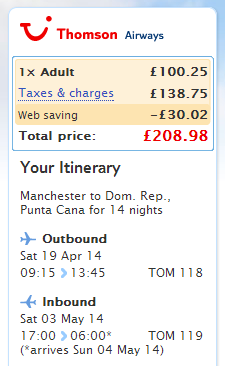 Return flights from Manchester to Punta Cana are available for €253 / 209 GBP. 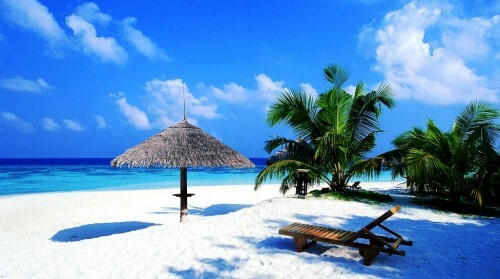 You can also fly from London Gatwick for just 20 GBP more. Only 5 kg cabin luggage is included, 20 kg luggage is 75 GBP extra. « Cheap flights to Thailand: Bangkok for only €379!